It is very hard to find a person these days who don’t like potatoes. This is probably one of the favorite vegetables of all time. Knowing how to plant potatoes will definitely increase the liking towards this vegetable. Ideal Soil For Growing Potatoes. How To Water A Potato Plant. When and How to Harvest Potatoes. This will definitely increase your confidence in growing potatoes. 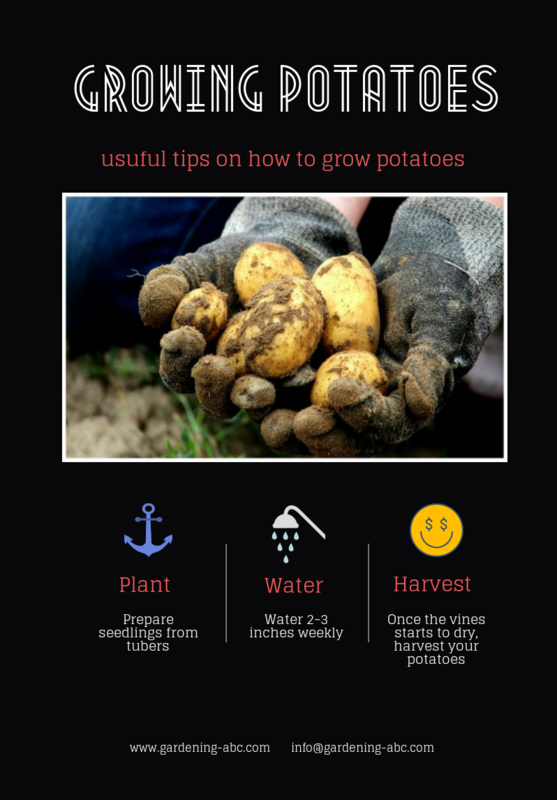 Growing potatoes is not that difficult, and probably everybody should give it a try. It grows in full sun. So the first step to a healthy plant and good yield would be to select a spot where you will receive direct sunlight for at least 6 to 8 hours a day. Soil quality is not a hindrance in growing potatoes. You can plant potatoes in almost any type of soil. But the best ones recommended by experts are loose sandy loamy soil with a pH range of 5.5 to 6.5 (slightly acidic soil). Make sure that your soil is not very hard. Hard soil can result in misshapen tubers. 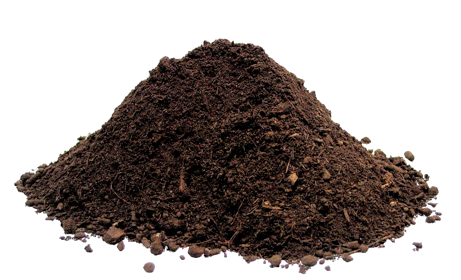 To resolve the problem of hard soil mix coco coir and compost with the soil. It will also increase the water retaining capacity of the soil. 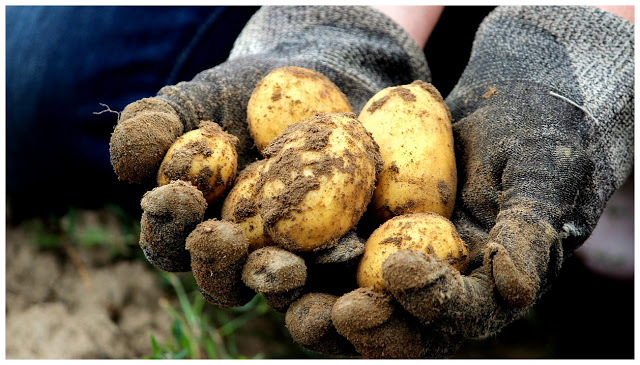 Unlike most of the other vegetables discussed earlier (which are mostly grown from the seed), potatoes are grown from the tuber itself and not from the fruit. To prepare a seedling, cut a whole potato with into small pieces keeping in mind that each piece should contain at least two eyes. If you have very small size potatoes, instead of cutting, use them as a whole. You can now use them in place of seeds to grow potatoes. After making those suitable cuts leave these pieces in direct sunlight for a day. This will help the exposed area of the potato to dry up and will prevent rotting once you plant them. For getting good quality tubers you need to make the soil loose. So it is generally a practice to loosen the soil before planting potatoes. Use a tiller to do the job. once the soil is loosened up plant these potato-cuttings keeping the eye side upwards. Keep 1-foot space between two plants. 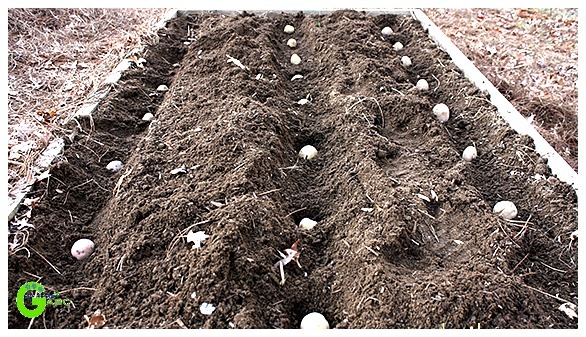 Cover the potato seeds with 3-4 inches of soil. It is best to grow potatoes in rows. Keep each row at a gap of 3 feet. Once the plants reach 8 inches tall you need to draw up soil around the plant. If the tuber is exposed to the sunlight it will make them bitter. Potatoes require moderate watering. 2-3 inches of water weekly is enough for the plant. Make sure the soil has proper drainage. The waterlogged condition is not ideal for the tubers. It causes them to rot. The requirement of water is the most when the plant starts flowering. 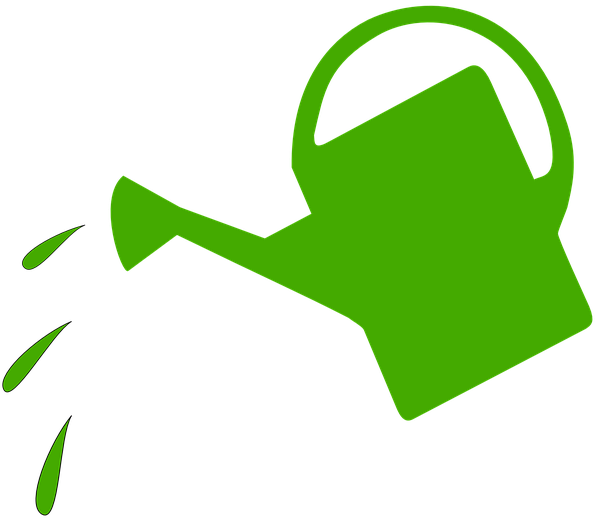 You need to continue watering the plants till the foliage turns yellowish. This is the most important time of potato growing because during this period the tubers are formed. So the lack of water can hamper the yield. Once the vine starts to die, you can harvest your potatoes. As the soil is loose, it will not be much of a problem to dig. You can use your bare hands to dig the soil or you can use a shovel. Just be careful otherwise you could damage some of the tubers. After taking out the tubers, lay them above the soil for 2 to 3 days if the weather is dry and no water is expected. It will help the outer jacket of the potato to become thick and will help in storage. In case the weather is wet please keep them in a dry area. After that, you can brush off the soil from the tubers and store them in a cool and dry place. For more details on how to store vegetables read our article titled Storing Your Vegetables: You Must Know the Basics. Sounds simple? Why don’t you try this in your own garden? Let us know about your experience. Growing potatoes can be staggeringly fulfilling, especially in the event that you have the space to plant a reasonable number of them. Even better, in the event that you get an especially decent product, you can process some of them and store them for times when there aren’t any new tubers to collect from your garden.